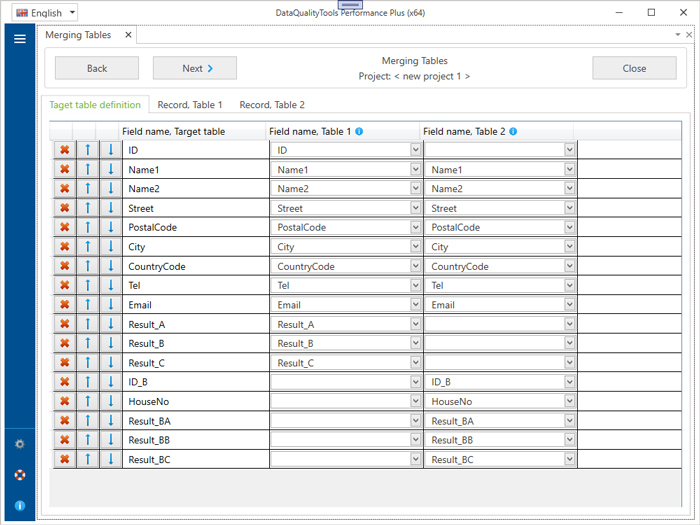 You can use this function to combine two or more tables into a single table. You can freely define which columns of the source tables are to be transferred to the target table and in which order. The format and structure of the source tables do not have to match.